Skylark Blog: What are the 5 Worst Mistakes People make in their Divorce case? MISTAKE #5: "I Want My Day in Court"
What are the 5 Worst Mistakes People make in their Divorce case? MISTAKE #5: "I Want My Day in Court"
There is a saying that criminal law attorneys see bad people acting their best while family law attorneys see good people acting their worst. As a divorce attorney, I have seen generous and commendable behavior, but I have also witnessed my share of vindictive and damaging actions committed by divorcing litigants. I have put together this list of the worst mistakes that parties make in their divorce case in the hopes that at least some people will think twice before committing these mistakes in their lives. I have excluded purposefully bad behavior such as physical abuse because it should be obvious that such actions are not only inappropriate but criminally dangerous. 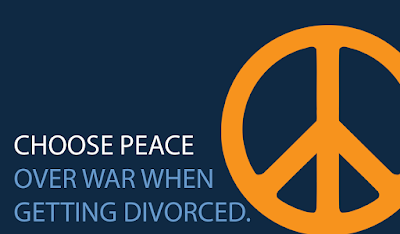 MISTAKE #5: WANTING YOUR "DAY IN COURT"
Divorce is best viewed as the break-up of a business partnership. A long and drawn out divorce trial will ensure that you pay your attorneys significant funds, but will not ensure the best outcome. Is it likely that a Judge hearing only admissible evidence over the course of a few days can learn everything about your past, present and goals for future? Or is it more likely that you and your spouse, working together, can divide your partnership in a way that provides the best possible future for both of you, taking into account all of the information you both have about your lives and goals (most of which will never end up in front of a Judge)? Unfortunately, many parties aren't focused on what their life could be after the divorce, but are still focused on their anger or sadness over the ending of their marriage. These parties can be heard saying things like "I just want my day in court" or "the Judge should hear my side of the story" or "the whole world should hear what he/she did." While the desire to be heard and express one's feelings about the end of a marriage is understandable, the court is exactly the wrong forum for this type of closure. Therapists are much cheaper (sometimes even covered by insurance) and much more likely to provide you with emotional insight. At the end of the day, no matter how much of "your story" gets discussed in court, the court is still only going to decide which assets you get, and which assets your spouse gets. The Judge will not give you a trophy or any other sort of validation regarding who was "right" and who was "wrong." So, save your money, and rather then your "day in court", figure out what you want the rest of your days to be like and make sure that you and your attorney are working towards those goals. Click here to view Mistake #4. It is so refreshing to read such a piece written by a Family Law Attorney. Individuals seeking a divorce and "wanting their day in court" should be first required to go through financial counseling, as most will need it when they are done fighting a long, drawn out legal battle. Individuals entering a divorce have no understanding how much a divorce really costs and their attorneys are not telling them. Instead, many attorneys lure prospective and vulnerable individuals to their practices with a very low retainer fee. Few seem to understand by the time they return to their homes from the initial consultation; they have already used up their modest retainers and often owe money. Sadly, most attorneys do not take the time to advise their clients about this reality and instead participate in exacerbating conflict simply to prolong the divorce process and fatten their wallets. I routinely see our clients pay $250,000 and up in legal fees (and this is for only one of the parties to the divorce.) The current process for divorce needs sweeping change as the only people who benefit from a couple’s divorce are the professionals collecting their fees. The process needs to be much more consumer focused and there needs to be more legal service delivery providers outside the legal system. The market is demanding innovation and a fresh approach is needed. Divorcing couples need to be more empowered to make their own decisions and seek legal guidance only where needed. In the meantime, I commend Kelsey & Trask for their straightforward, consumer focused advice to divorcing couples.